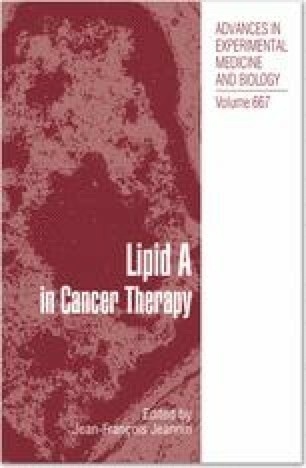 In recent years, lipid A as ‘endotoxic principle’ of bacterial lipopolysaccharide (LPS) and derivatives thereof have become increasingly important in the field of biomedical application such as for vaccination or as therapeutical, e. g., anti-tumor agent. For an understanding of these biological processes, however, a basic physicochemical characterization of lipid A and lipid A-like structures is a necessary prerequisite. This includes the determination of parameters like critical micellar concentration, the type of aggregate structure, the molecular conformation, the gel to liquid crystalline phase behaviour, and theoretical approaches like molecular modelling. In this chapter, data from literature are summarized showing that the unusual chemical structure of lipid A-type molecules is connected with a very complex structural polymorphism, which is sensitively dependent on the particular chemical primary structure, particular on the acylation pattern and on the number of phosphate groups at the diglucosamine backbone.